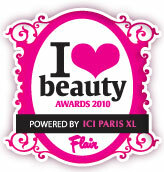 DDMC Event Design organised the “I Love Beauty Awards” for Ici Paris XL and Flair in The Event Lounge on Wednesday 9th June 2010. The “Beauty Awards” were presented during this gala evening. 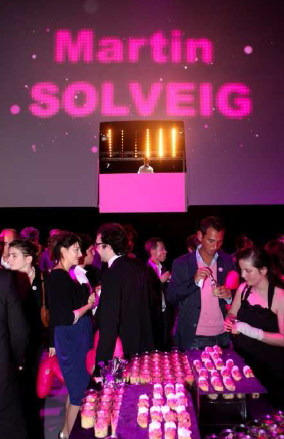 The event was attended by both national as well as international stars: Elettra Wiedemann (fille d’Isabella Rossellini), Marie Gillain, Estelle Lefebure, Déborah François, Zoé Félix, Jérémie Renier, Barbara Louys,… Plus obviously not forgetting Martin Solveig, the well-known DJ who continued playing fantastic tunes until the early hours. The presenters, Tiani Kiriloff and David Antoine, also had the honour of welcoming the famous “Cabaret de Paris” during the award ceremony, very well known for its tailor-made shows which are completely dedicated to women’s beauty and sensuality: the “Crazy Horse”.